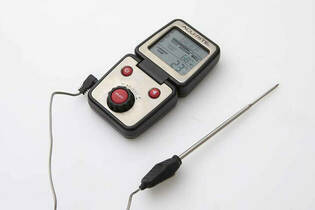 Snapshot: The AcuRite Digital Cooking & Barbeque Thermometer 00277 has a 12cm probe and is oven safe. How accurate is it? Background light for easy viewing.